A big reason why I decided to start this blog was because I'm at a bit of a turning point in my running--I've been resting for 6 weeks healing a stress fracture in the 2nd metatarsal of my left foot and I've also moved to Bozeman, MT for grad school. This means that I've gone from my best shape of my life immediately after the Leadville 100 to not running a step. Plus, once I start back up sometime in the next couple of weeks I'll be exploring a completely new (to me) system of trails. These are not small issues for someone whose life is as inextricably defined by running as mine admittedly currently is. First, the reasons why this stress fracture (number 12, incidentally) occurred. 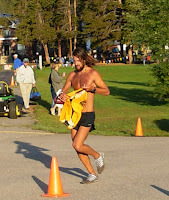 This past spring I set a course record at the Collegiate Peaks 50 mile inBuena Vista, CO at the beginning of May, and then less than a week later started having problems with the lateral meniscus in my left knee. I ended up running very little for the next two months until Dr. Leahy and Dr. Matthews at Champion Health fixed me in less than a week and I started training hard again on the 4th of July. 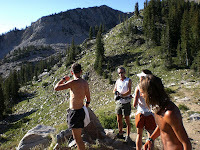 However, this only left me with 5 weeks of training (plus a taper week) leading up to the Leadville 100 on August 17th. 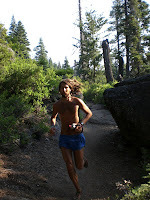 I kicked things off with a week-long stay out in Lake Tahoe at Squaw Valley doing a lot of running with a couple of friends--the impeccable trails and change of scenery ended up being a perfect way to get back into the hard training groove. 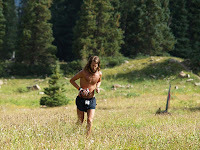 When I got back to Colorado I immediately ran the High Mountain 50 in Leadville, CO as a training run. It was rough. I ran 17 minutes slower than last year and it was also my first time running above 10,000' since the Leadville 100 in 2006. 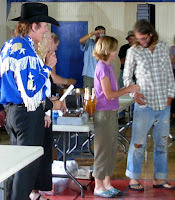 I knew I had my work cut out for me if I wanted to improve on my 17:01:56 performance at the LT100 the year before. 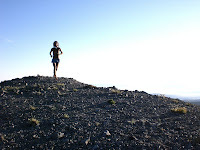 As a result, I put in a month of the best (and hardest) training of my life--evidence for that is in a previous post. 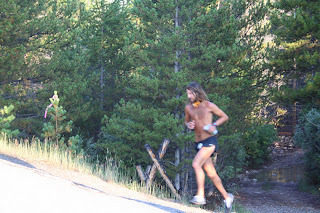 After Leadville I took five days really easy--nothing but a single 60-90min run per day--but then I moved to Bozeman and put in a few days in a row back at my usual level (4hrs+) and boom, stress fracture. Unfortunately, I've had to re-learn for the umpteenth time that those times in one's running when you feel most strong, most indestructible, invincible, are the times when you are probably most vulnerable to injury because the training required to get to that point is considerable. I've been in the boot for 6 weeks now and yesterday was the first day out of it...hence the beginning of this blog. Yesterday there were just a couple of twinges as I spent the whole day in bike shoes (stiff soles) instead of the big velcro foot...overall, it seems like positive progress.